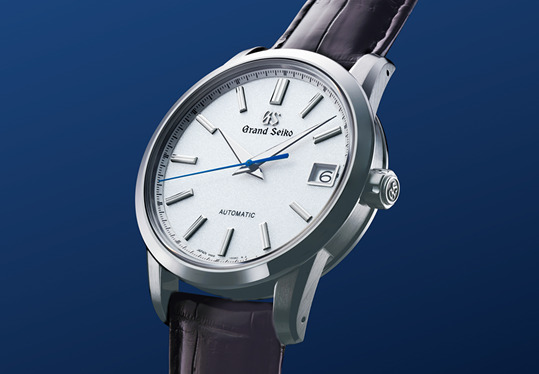 Grand Seiko explores its history and looks to the future. 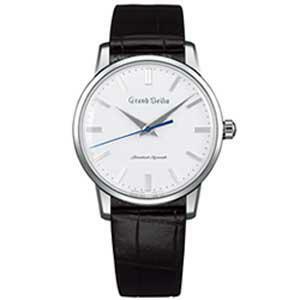 The international launch of Grand Seiko took place in 2010. From the very start, the reaction of the watch retailer and aficionado community was overwhelmingly positive and the brand has enjoyed a prolonged period of rising demand and growing consumer interest. We are delighted with its progress which we expect to continue in 2017 and beyond. To take full advantage of this opportunity, an important new collection is presented here at Baselworld. 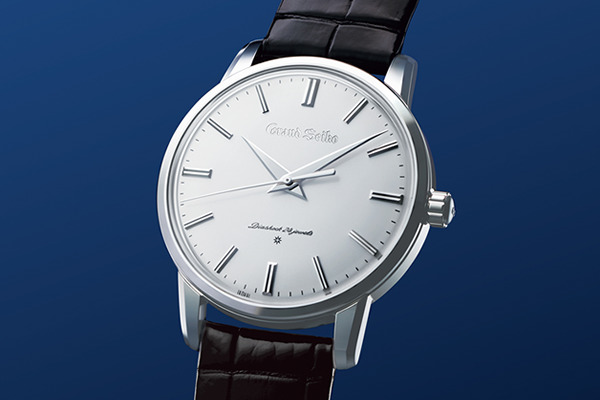 From the very start in 1960, Grand Seiko has been distinct in its design, its character, its distribution and its presentation. 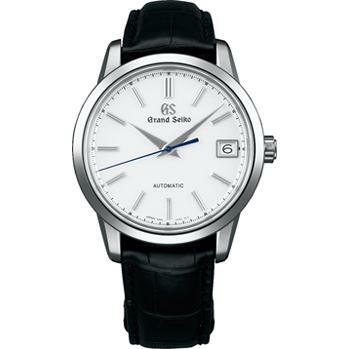 Indeed, the dial of the very first Grand Seiko watch carried the name Grand Seiko at the twelve o'clock position as a symbol of its unique identity and superior quality. Today, we take our inspiration for the future from these pioneering days. We have created a new series based directly on the original Grand Seiko design and we offer both faithful re-creations and a modern re-interpretation. All these new creations proudly display the Grand Seiko name on the dial, as will all other Grand Seiko designs from today onwards. 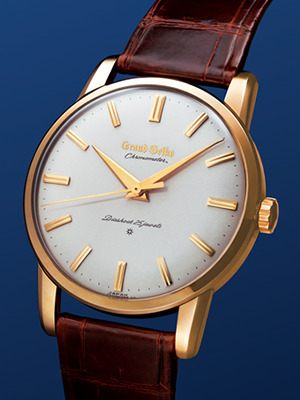 The first Grand Seiko, re-created in platinum, gold and steel. 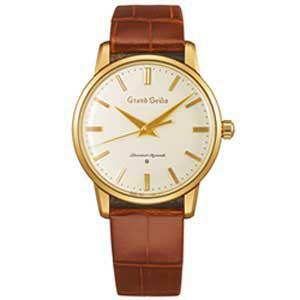 The majority of the first Grand Seiko models were produced in a 80 micron gold-filled case but some were also made in platinum. The new re-creations are therefore offered in both these metals and also in stainless steel. The case is virtually identical to the original, but its diameter has been increased to 38mm in line with contemporary taste. The dual-curved sapphire crystal is also loyal to the original shape and gives the re-creation the same pleasingly gentle profile. The platinum version uses Platinum 999 and has 18k gold hour markers, just as on the original. The base of the dial is also in gold, which allows the Grand Seiko logo to be particularly sharp in its outline and detail. 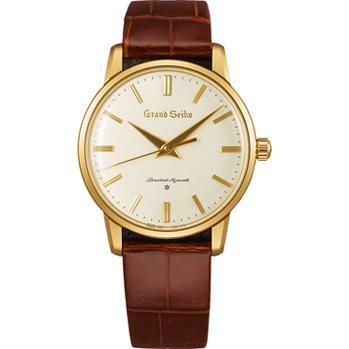 The gold version uses 18k gold for the entire case and all the hour markers, while the stainless steel version also has a gold accent in the form of the Grand Seiko lion emblem embedded in the case back. All three versions incorporate the 9S64 manual winding caliber, but the platinum version has been adjusted to an even higher level of precision, -1 to +5 seconds per day. All of them are offered as limited editions, each with a special "Inspection Certificate" and are available from March 2017. A new case material and a new caliber grace the modern re-interpretation. The modern re-interpretation of the 1960 Grand Seiko is true to the pioneering spirit of the original Grand Seiko design team. 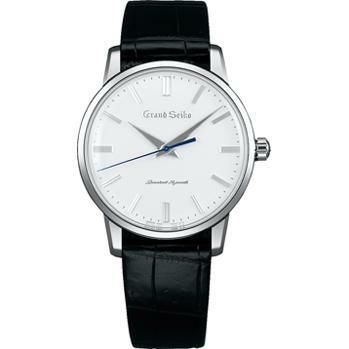 It incorporates a new automatic caliber, 9S68, which makes possible a larger date window and the case is made of Brilliant Hard Titanium, a new material that is exclusive to Grand Seiko and that is as light as pure titanium but twice as hard as stainless steel, which increases still further its scratch resistance. 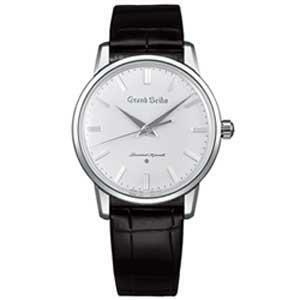 The case design is a remarkable fusion of the ethos of the 1960 watch with the design character of today's Grand Seiko. 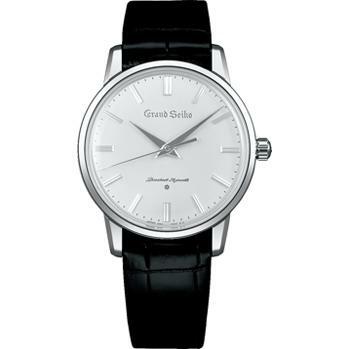 The hands are long and their edges are highly polished in the Grand Seiko style, the lugs are narrow and the case sides are recessed to give the same slim profile as the original. Many surfaces have the distinctive sharpness and unique brightness that only the Zaratsu polishing of the new titanium could achieve. One striking difference is that the new creation has an exhibition case-back, through which the 9S68 movement and its high quality finish can be enjoyed, proving perhaps that it is possible to both respect and re-invent even the finest of traditions. This watch will be available from July 2017.